Wherever you are located in West Malaysia, from Johor to Kedah, you can now turn online to fix your furry companion’s next feast. And here’s the best part: In addition to keeping your pet’s tummy full, your purchase will contribute to the welfare of stray cats and dogs in Malaysia. 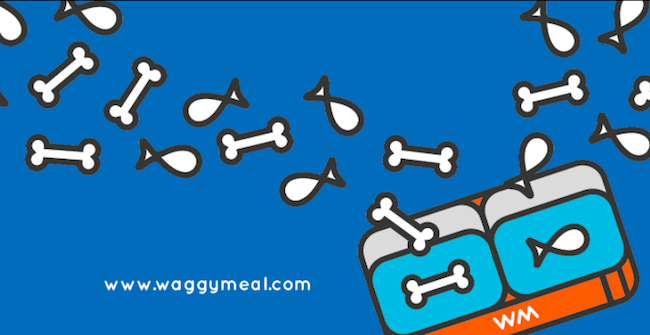 Started in October last year and recently revamped, waggymeal.com is an online pet food store providing a wide selection of cat and dog food, treats and supplements. Promising “rock-bottom” prices, WaggyMeal also emphasises value-for-money with free delivery for purchases above RM80 (US25). Touted as the fastest growing online pet food store in Malaysia, this start-up puts a creative spin on conventional e-commerce: by tapping on the vast potential of the Internet for a social cause. We speak to Melvin Chan, founder and CEO, to learn more about the inspiration behind this innovative start-up. WaggyMeal is the first venture under Waggy Love Group (M) Sdn Bhd, a social enterprise vehicle set up in 2012, dedicated to “rescuing lives through commerce”. 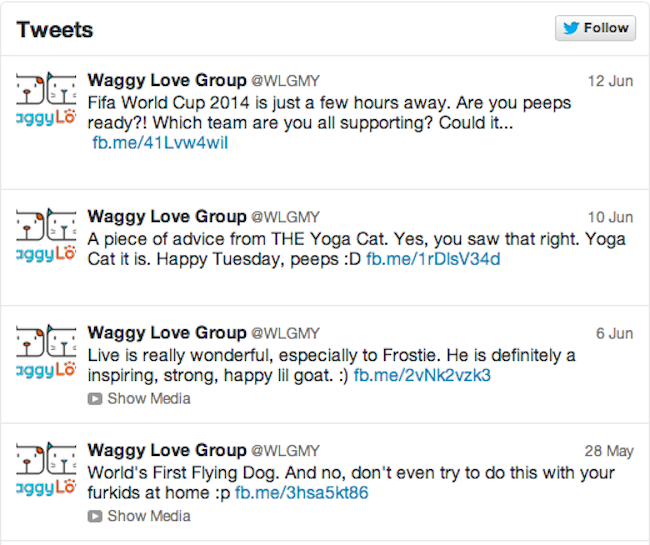 Melvin pinpoints his and his teammates’ involvement in animal rescue groups and shelters as the impetus for wanting to set up Waggy Love Group. “We have been involved with animal rescue missions, only to experience further requests for funds to help with medical and continuous care for the rescued animals,” Melvin explained. Such direct experience helped them realise that the key to saving Malaysia’s strays is to incorporate a sustainable business model in their social work. Their mission is simple: for every item ordered by customers, RM1 is donated to registered animal shelters. Melvin also wanted their consumers to relate well to the mission of saving animals, hence the decision to target pet owners as a consumer base. Operating online has specific strengths that seem to have served the business well thus far. Their online presence enables them to reach a wide consumer base, the whole of West Malaysia, as well as to conduct marketing and publicity via the social media platforms Facebook and Twitter. While the Internet affords us a sense of immediate impact, don’t be fooled into thinking that Waggymeal was set up in no time. In fact, it took two years of negotiation efforts and hard work. Finding the right e-commerce platform was of course no cakewalk for Waggymeal, especially in an untested market like online pet supplies. “Web developers would usually propose a budget of site building between RM18,000 to RM20,000. 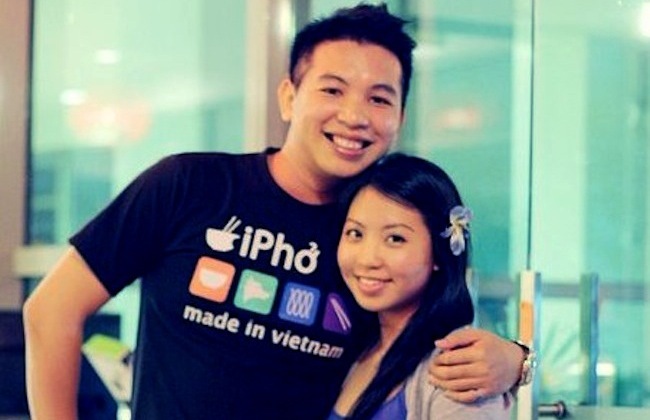 As were running this company on bootstrap, it was challenging,” Melvin recalls. Their breakthrough came with Shopify, the popular e-commerce platform enabling individuals to create online stores with clean and simple web design. “The platform finally provides room to maximise margins for the business and reduce recurring costs for the site. This allows space to maximise the value of the company to benefit the shareholders,” said Melvin. Technical issues aside, ensuring sufficient consumer demand is another potential challenge for this young online business. While Malaysians have a huge appetite for online shopping – the 2011 Mastercard Worldwide Online Shopping Survey revealed that 67% of Malaysians shop online – they are also picky about their preferred categories of goods. A 2013 survey by ecommercemilo ranks “Pets” the most unpopular category among Malaysian online shoppers. Melvin however, is unfazed by such findings. Instead, he is optimistic that WaggyMeal itself is poised to change consumer preferences and promote online pet supplies retail. Reception towards WaggyMeal has been promising, with the company experiencing sales flows even before embarking on bigger marketing strategies. “This explains our current position: Raising funds from potential investors who share a passion to elevate welfare of animals in the country,” Melvin explained. With bright prospects ahead, WaggyMeal is exploring options such as building a mobile application to increase accessibility for customers. “We are also not ruling out the plan to build a network of physical pet stores that will serve as our fulfilment centres in various regions in the country,” he adds. For the team behind WaggyMeal, it all boils down to achieving their vision of celebrating the love of animals and supporting animal welfare efforts across Malaysia, as visible from their blog posts like this and their social media feed. At Vulcan Post, we salute passionate individuals like Melvin who tap on the power of e-commerce not for personal gain, but for the greater good of society. Know of a similar start-up? Feel free to comment!